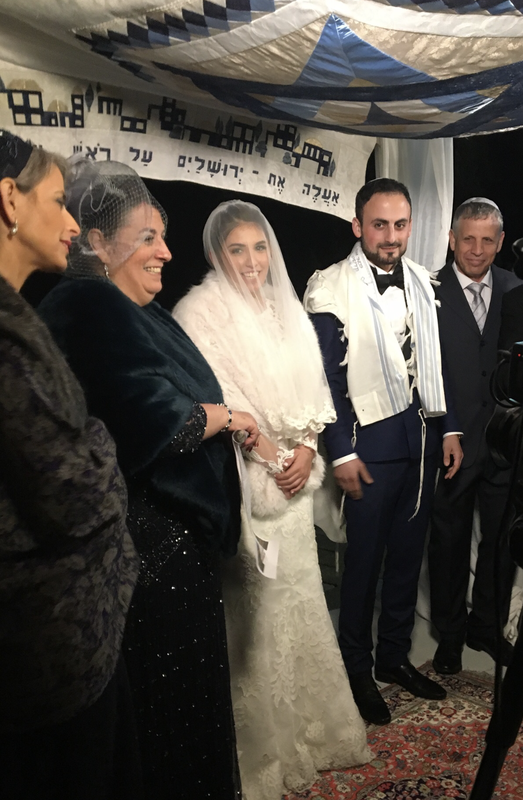 and to the parents Michal and Yoni Katzir! 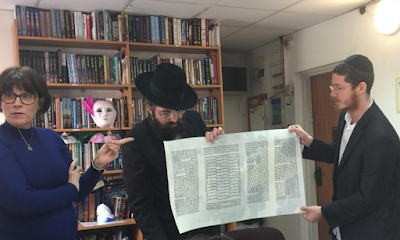 Mayanot was honored to take part in a Torah scroll inauguration commissioned by a student, all the way from Waukesha, Wisconsin. 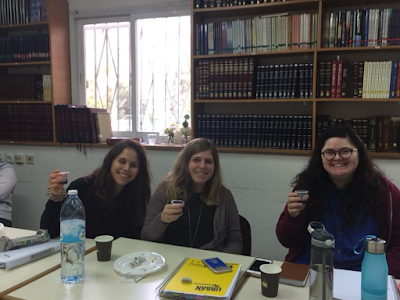 Debra Hacker, a founding member of the Chabad of Waukesha, decided to gift herself a week of Torah study at Mayanot’s Executive Learning Program,​ in Jerusalem. 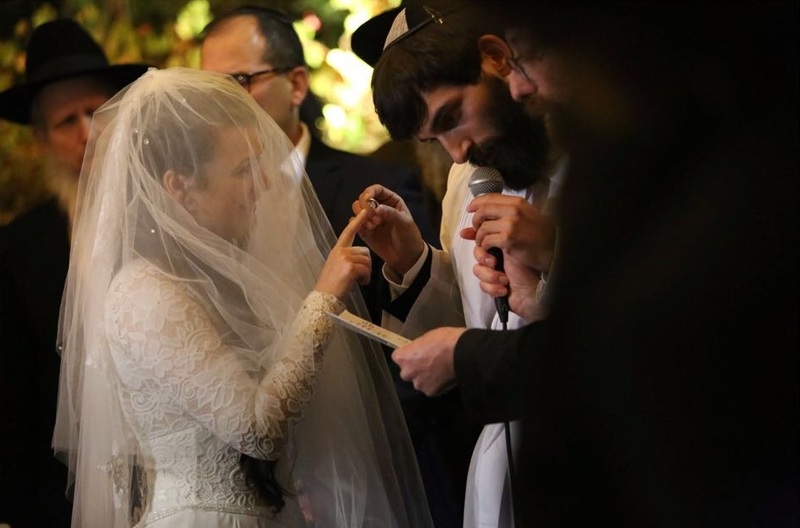 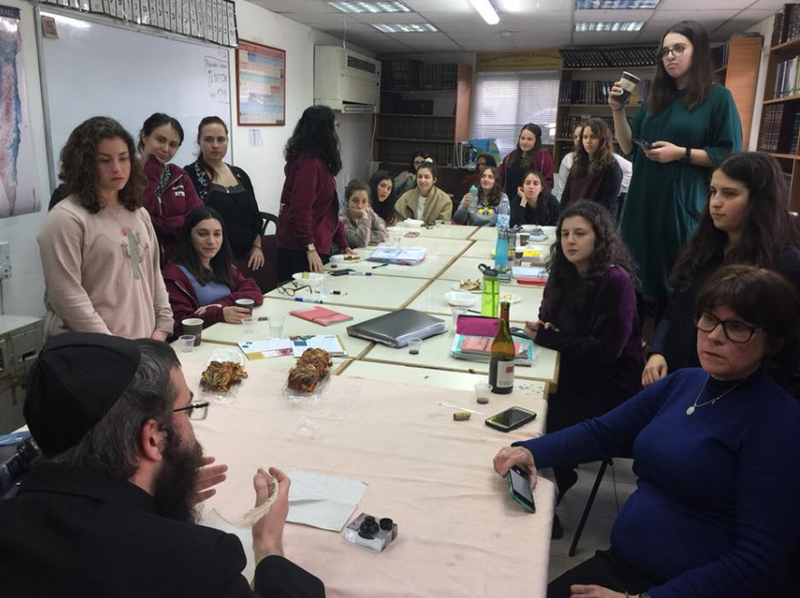 With grandchildren on the way and ever growing obligations, she used this special opportunity to formally initiate a project she had undertaken at her Chabad house, under the guidance of her Rabbi and Rebbetzin Levi and Freidy Brook. Debra and Chabad of Waukesha are writing a Sefer Torah (a Torah Scroll). In loving memory of her mother and grandmother, Ruth bat Runcha and Runcha bat Gella, two women who lived exemplary lives of devotion and loyalty and who gave of themselves wholly to their families, expressing their Jewishness both in life and in death. Debra commissioned the writing of a Torah scroll that will be the first Torah owned by this growing Chabad community. 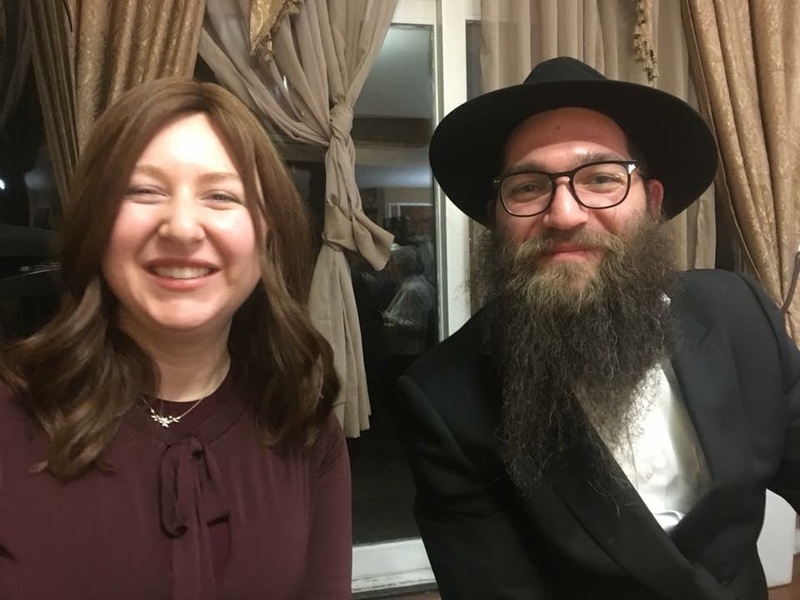 It was an immense honor for Mayanot to be a part of this incredible project along with Debra and the Chabad of Waukesha. The highly trained scribe who was commissioned to write Debra’s Torah scroll, lives in Israel and has studied for many years to master the skill of safrut (the sacred art of writing holy scrolls). 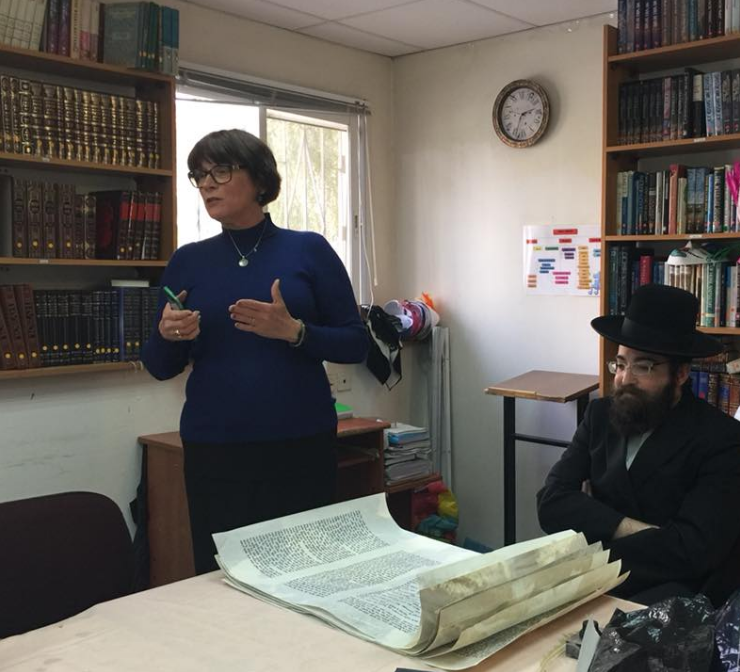 Mayanot was therefore able to coordinate with Rabbi Levi Brook, to have the scribe come for Debra’s afternoon class. In a spirit of great celebration, Debra, the students, and the staff, met the scribe at the Mayanot Women’s Beit Midrash (the women’s study hall). 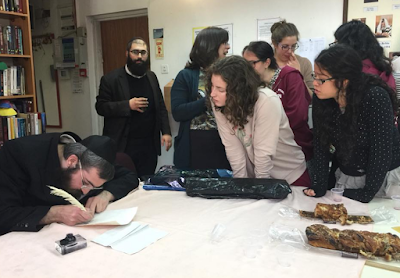 With much joy and heartfelt tears Debra inaugurated the writing of her Torah Scroll. 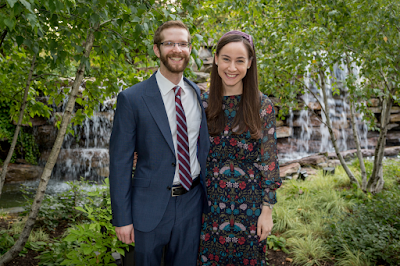 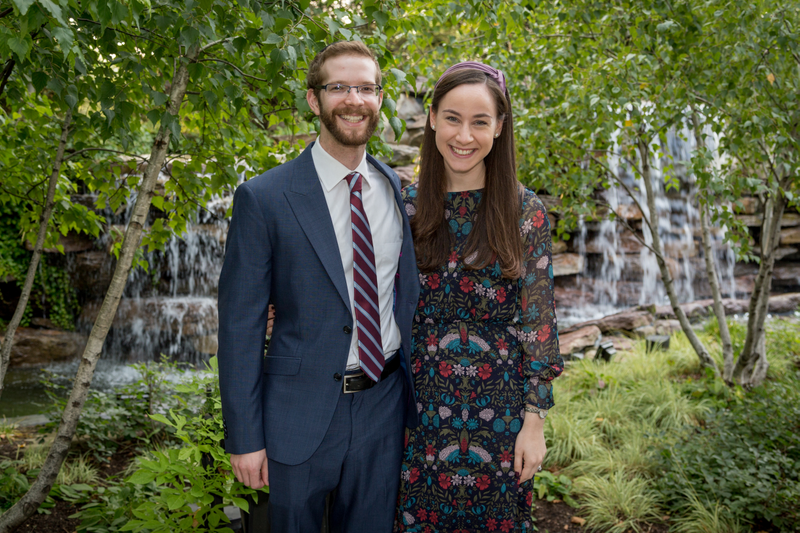 For the students at Mayanot who have spent years studying at colleges across the world but have only recently begun to learn Torah, this was an event of great excitement and importance, one that will surely be remembered for years to come.